This dish is so simple and quick to prepare, so perfect for a family dinner or impressive enough to serve to guests. Try to use fresh tarragon if you can, and if you are shopping for a tarragon plant for your garden, always choose French tarragon as Russian tarragon is not as strongly aromatic and flavoursome as its French counterpart – it is very easy to grow, suffers neglect, dies off during winter and re-appears in spring. 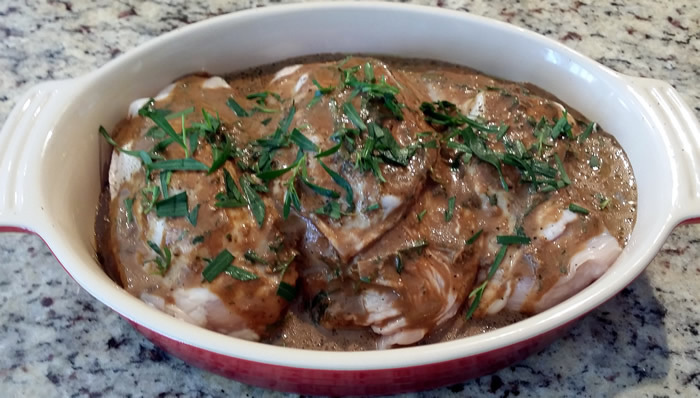 If you are in a hurry, it’s not necessary to marinate the chicken, but if you can set it aside for 30 minutes or more, all the better! Cut a large pocket in each chicken breast and stuff an equal portion of the sliced camembert into the pocket of each chicken breast. 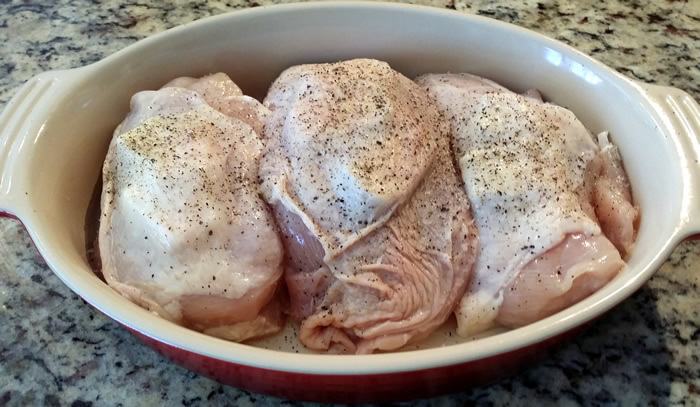 Season the breasts well with freshly ground salt and pepper and place in a greased ovenproof baking dish. 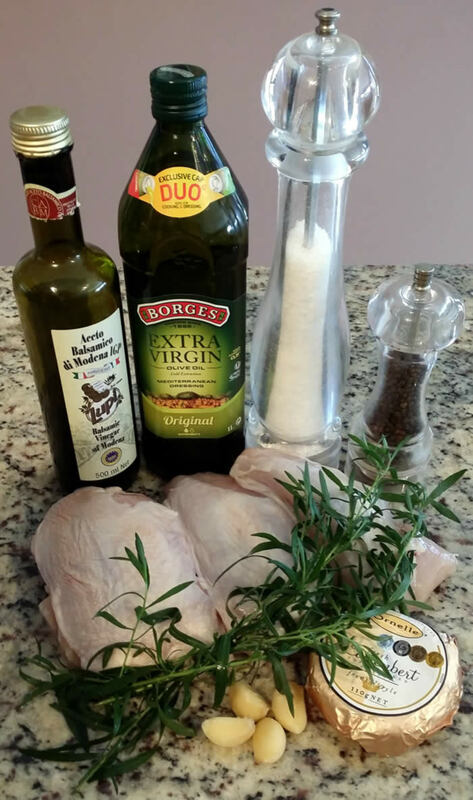 Use a bullet or food processor to make the marinade – add the olive oil, balsamic vinegar, garlic and half the tarragon leaves and blend until it forms a smooth sauce. Pour over the chicken, sprinkle remaining tarragon leaves on top and set aside for 30 minutes. 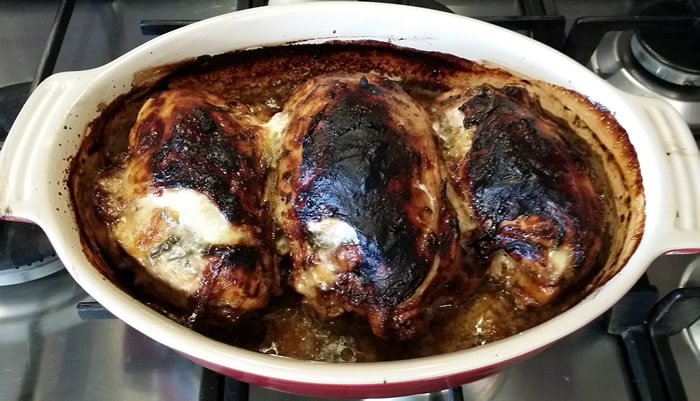 Bake chicken uncovered for 35 minutes at 200° C, basting once during cooking with marinade. Thickly slice chicken breasts. 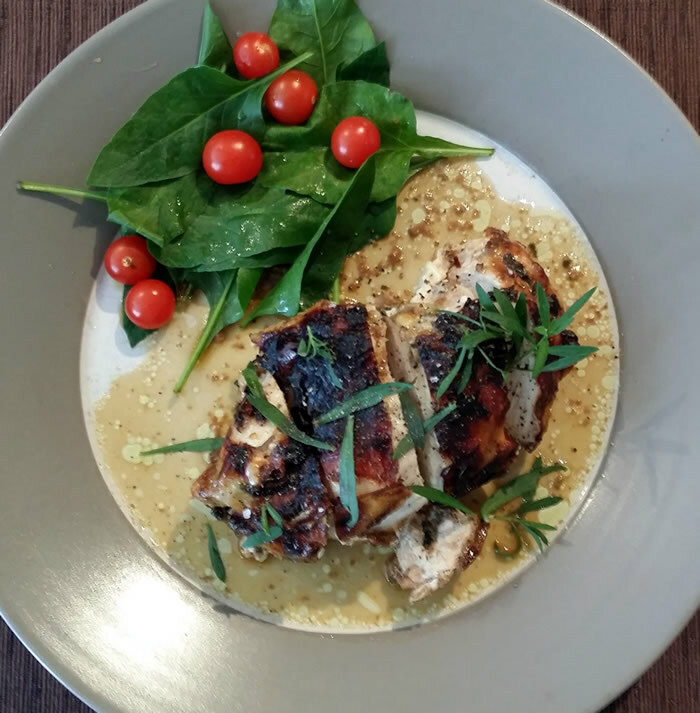 Spoon some of the juices from the baking dish onto dinner plates, add the chicken, fresh tarragon leaves and a good grinding of salt & pepper. Serve immediately with your choice of salad or vegetables. Hi, Leanne, this sounds nice and tasty, must give it a go, need to get tarragon. Very easy to grow in a pot Joan, should be available at a local garden centre – just make sure you get French tarragon and not Russian though.